What, as project manager, do I expect from my offshore team? What will keep the project running smoothly and the project manager happy? In the next few paragraphs, I look at the project manager's viewpoint and what, as a veteran of these projects, a project manager should expect from his or her team. Oh, and if you're an offshore worker, read on to learn what your project manager expects of you. Perhaps not the first thing that springs to mind — and sometimes seen as a negative — are time zones. Most people prefer their teams to be available while they themselves are at work. However, having people in different time zones can be a benefit. It extends the amount of working hours available each day. I've used the five and a half hour time difference between India and the UK to my advantage. Getting software upgrades deployed during India's morning helps me avoid disruption to the mostly European user base of my software applications. With most of my project team in India, I've adjusted my working day to start early morning (midday in India). As a morning person, I find it rewarding to have completed a significant portion of my day's work before my colleagues arrive. Plus, I'm fresh and at my most creative. This approach leaves the afternoon free for more routine work. Internet communication has improved significantly in recent years. We're in the midst of a communications revolution, the likes of which we have not seen since the invention of the telephone in 1876. Tools like Skype and WebEx make it easier to connect different project teams and bring them together with the few clicks of a mouse. I hold regular project meetings with my Indian team to discuss status, plan projects, troubleshoot problems, brainstorm ideas and keep everyone updated. Unlike telephone calls, people enjoy using the technology and are rarely late to meetings, which I loathe. Software like Skype and WebEx allow users to share content on the screen. During meetings, I write 'live' minutes using Evernote, which helps overcome language barriers and provides a written account of decisions and actions. A nice feature of Evernote is the ability to share notebooks with your teams — meaning you never need to email your meeting minutes again. Whether true or not, there can be less trust in the ability of an offshore team to resolve problems quickly than with a co-located team. There's little evidence I can find for this opinion, but I've observed this attitude numerous times in the past. It's easy to counter this view with a focus on problem-solving and fast response times. How? Establish a clear process for dealing with problems, and make sure the customer is informed all the way through the process. Often, good ideas go unheard because people think it's not part of their role and not their place to speak up. There's no monopoly on good ideas, however. Team members should always say what they think (within reason, of course). Any project can benefit from a free flow of ideas and an open-minded approach. Don't be afraid to say what you're thinking. Often those with some detachment can see things more clearly and provide valuable insights. As a young business consultant, working in a fledgling IT services industry, I came to realise that the cause of many problems came from failures in communication. On occasions, if the customer had been informed and updated, we would have avoided problems. Remember, when projects go offshore, people cannot see the activity and progress towards the end goal as they do when co-located with the development team. They don't see the wheels grinding day after day. That means it's important to keep them updated on progress via email, Skype, WhatsApp and other electronic means. Regular updates and honest conversations about risks and issues are vital for keeping everyone engaged and aware of progress (or lack of it). So keep talking and typing. One area that can be the difference between success and failure is requirements gathering. Requirements matter — significantly. It's crucial to have an excellent business analyst to gather requirements, document them clearly and articulate them in a way people can understand. The business analyst is a vital bridge between the customer and people working offshore, making sure everyone is clear about what to deliver. A business analyst is in the ideal position to clarify areas of doubt and uncertainty. If you find an excellent business analyst, hold on to them. They're crucial to your success. I'd go as far as to say that at least 50% of project success can be traced back to superior requirements gathering. My business analyst is my best work 'buddy'. He has saved me countless hours of extra effort by clearly documenting and communicating all the requirements of my projects. Working with offshore teams is becoming a norm. As we get more experienced with offshore projects, we'll learn to adapt working practices	— not only to make it work, but to make it work more efficiently. Working with an offshore team can be a very rewarding experience. It may even have advantages over managing projects with co-located teams. What's your experience of working with offshore teams? Please share in the comments. Let's discuss. Send me a message on Twitter and let me know what you think! 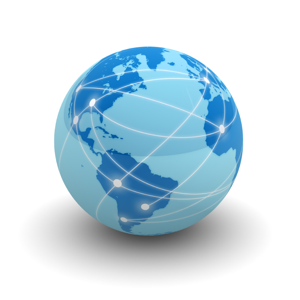 Significant growth is taking place in the global IT offshoring market. 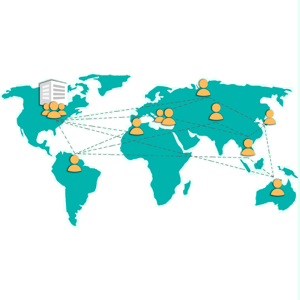 The aim of this research is to give insight into challenges that IT offshoring projects face. How do you sustain the interest of your new outsource team? Here are ways to keep the team passionate about providing you with top-quality service. 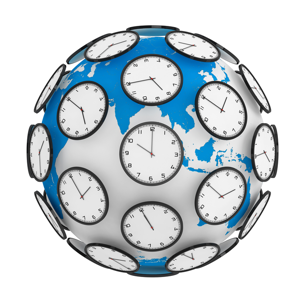 Is Offshore Outsourcing Working for You? 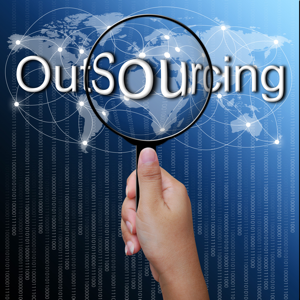 Is your company looking, or already into outsourcing? 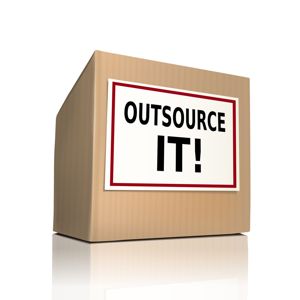 Here are five indicators that your company is on its way to outsourcing success.